Pillar to Post: SPACE CADETS / NASA LOOKING FOR ONE DAY ECLIPSE SCIENTISTS. THEY’RE TOTALLY SERIOUS. SPACE CADETS / NASA LOOKING FOR ONE DAY ECLIPSE SCIENTISTS. THEY’RE TOTALLY SERIOUS. The public will have an opportunity to participate in a nation-wide science experiment by collecting cloud and temperature data from their phones. NASA’s Global Learning and Observations to Benefit the Environment (GLOBE) Program Observer (NASA GO) is a citizen science project that allows users to record observations with a free app. 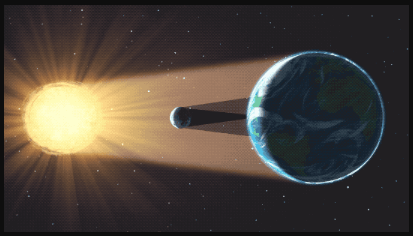 On Aug. 21, NASA GO will feature a special eclipse experiment. 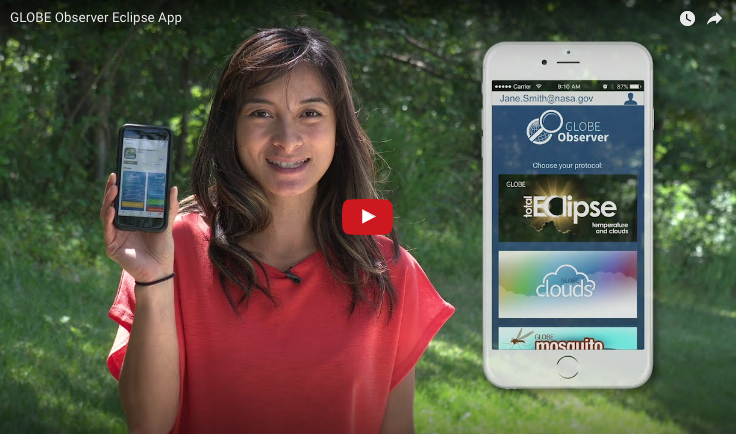 With the app and a thermometer, citizen scientists can help observe how the eclipse changes atmospheric conditions near them, and contribute to a database used by students and scientists worldwide in order to study the effects of the eclipse on the atmosphere. Observers in areas with a partial eclipse or outside the path of totality are encouraged to participate alongside those within totality. NASA invites eclipse viewers around the country to participate in a nationwide science experiment by collecting cloud and air temperature data and reporting it via their phones. The Global Learning and Observations to Benefit the Environment, or GLOBE, Program is a NASA-supported research and education program that encourages students and citizen scientists to collect and analyze environmental observations. GLOBE Observer is a free, easy-to-use app that guides citizen scientists through data collection. 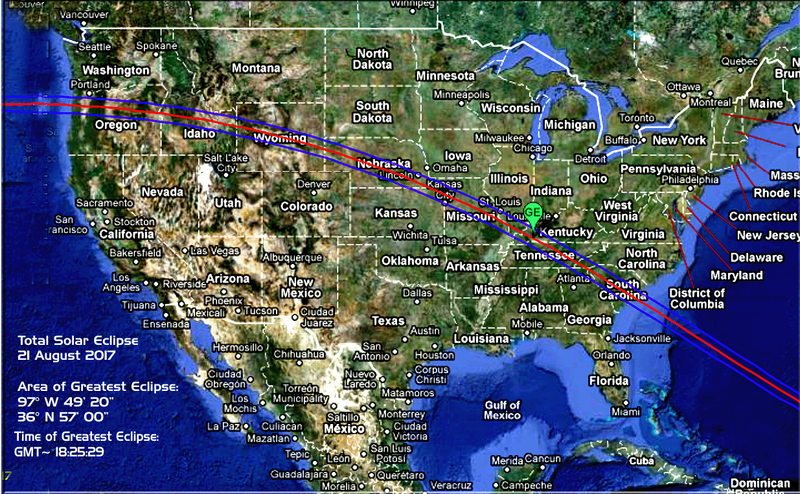 On Aug. 21, a total solar eclipse will occur across the entire continental United States. Crossing the country from Oregon to South Carolina over the course of an hour and a half, 14 states will experience night-like darkness for approximately two minutes in the middle of the day. The eclipse enters the U.S. at 10:15 a.m. PDT off the coast of Oregon and leaves U.S. shores at approximately 2:50 p.m. EDT in South Carolina. 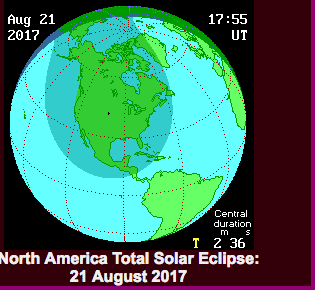 All of North America will experience at least a partial eclipse. In order to participate, first download the GLOBE Observer app and register to become a citizen scientist. The app will instruct you on how to make the observations. Second, you will need to obtain a thermometer to measure air temperature. Observations will be recorded on an interactive map. To join in the fun, download the GLOBE Observer app https://observer.globe.gov/about/get-the-app. After you log in, the app explains how to make eclipse observations.